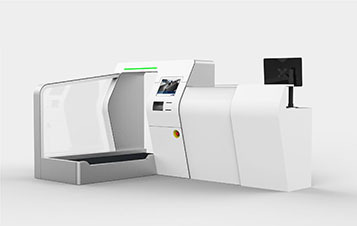 Materna Intelligent Passenger Solutions (IPS) will be exhibiting at the 2019 Passenger Terminal Expo (PTE) in London with innovative solutions for check-in, automated bag drop, access, biometry and monitoring. From 26 to 28 March, PTE visitors can learn more about hybrid self-service bag drop solutions based on Materna`s standard product range at stand 3060. Materna IPS will also be demonstrating its new SMART tool for easy and intuitive monitoring of airport applications and single transactions. Moreover, visitors will experience the entire automated passenger journey from check-in to boarding in an impressive virtual reality showcase. In preparation for the PTE, Materna also launched its new website. At this year`s Passenger Terminal Expo in London the Materna team will be presenting various kiosks for self bag drop, check-in and access at stand 3060. Visitors will learn more about Materna`s hybrid self-service bag drop solutions. Suitable for both self-service and agent service baggage drop-off, it gives airports maximum flexibility when deciding how the bag-drop station is used, according to capacity, queues and peak times. 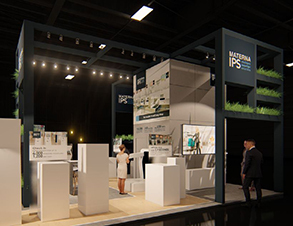 A special feature at the Materna IPS stand this year takes visitors into a virtual environment where they are presented with various self bag drop solutions. The virtual tour showcases the entire passenger journey from check-in to boarding. 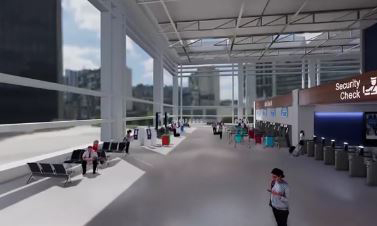 Materna IPS also delivers these VR services, which are customizable to show any of the Materna solutions at any airport, to give customers an idea of how the future solution fits in with their terminal design. Materna has developed its own SMART tool to give airports a better overview of traffic numbers, maintenance requirements, failures, downtimes and peak loads. This intuitive monitoring tool allows you to analyze the performance of airport applications down to single transaction level and show them in an intuitive dashboard-based control center. With 7,000+ attendees and 375+ speakers, this year’s PTE will be the biggest event in the aviation world. The three-day event offers its guests a varied range of meetings and panel discussions on international developments in the industry. In the context of the Conference at PTE, on 28th March, Materna will be holding a presentation together with one of their largest customers, Hamburg Airport, entitled “Retrospective – one year of self bag drop at Hamburg Airport”. In preparation for the PTE, Materna IPS launched its new website at www.materna-ips.com. The new website emphasizes how Materna IPS is positioned as a leading international supplier of self bag drop solutions. The website showcases Materna’s solutions along the complete passenger journey and reflects the IT service provider’s focus on improving efficiency for airports and airlines. Users will find a modern website with a clear layout and responsive design including interactive 3D product presentations. Under their brand Materna IPS (Intelligent Passenger Solutions) and as one of the most renowned suppliers for airports and airlines around the world, Materna delivers solutions for automated passenger handling at airports. In addition to the European market, Materna’s Intelligent Passenger Solutions portfolio also has a focus on the North-American market with its own subsidiary in Orlando, Florida as well as the Indian and Japanese market.